While income may not be the most important factor for graduates of naturopathic medical school, we recognize that applicants want to feel secure in their ability to make a living and pay off student loan debt. The AANMC conducted its 2015 Graduate Success and Compensation Study in an effort to help prospective students understand their income expectations once they become practicing naturopathic physicians. Additionally, AANMC, our member schools, and professional associations actively work to increase job opportunities, student loan reimbursement options, and insurance coverage for ND care. Graduates who use their naturopathic medical degree in a full-time position have seen their annual pay more than double since prior to enrolling in school. 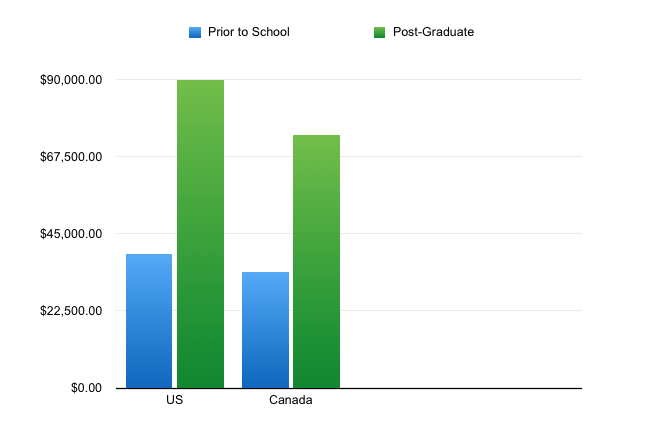 In Canada, they earn about $74,000, compared to about $34,000 before entering school. Note – It takes the majority of graduates 3-5 years to establish a private practice. 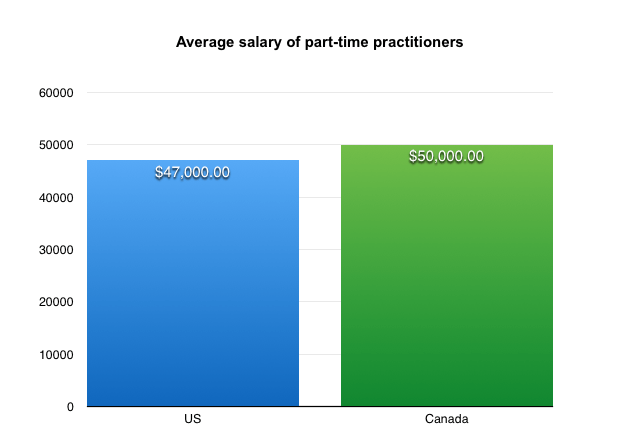 Graduates who use their naturopathic medical degree in a part-time position (32 hours or less) have seen their average salaries steadily increase the longer they work in the naturopathic medical field. The average salary of graduates who work part-time in the field is about $47,000 in the U.S. and $50,000 in Canada. As is the case with graduates who start or enter a business in any field, financial success for naturopathic medical school graduates won’t happen overnight. But average salaries are shown to grow steadily over time for those who invest the time, commitment and resources necessary to be successful. Graduates with an additional degree, working full time, earn an average of $5,000 USD more annually than graduates with an ND alone. Beyond financial considerations NDs have a better work-life balance. In addition to financial considerations, naturopathic medical professionals typically place a high value on maintaining a healthy work-life balance, and many in the field find they are able to meet that goal. Never miss upcoming webinars, events, tips and resources designed to help you as you begin or advance your career in naturopathic medicine.